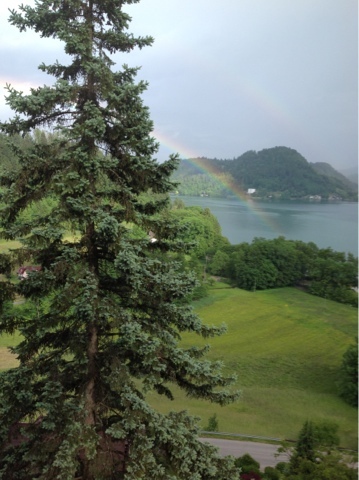 Just sitting in our room after another beautiful hike though the hills surrounding Bled, Slovenia and up pops a rainbow. This is how we ended the trip last year in the Engadine. Where will the rainbow take us next?